Have you ever watched Whose Line Is It Anyway? or seen an improvisational comedy troupe and wondered, "How do they do that?" Well, my guest on this episode has been performing improv for decades and now runs a thriving business that teaches people how do it. 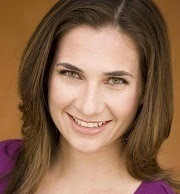 Shana Merlin, in my view, is the improv comedy queen of Austin, TX. She took a passion and skill that most people only do part-time for fun and turned it into Merlin Works, a school that shows adults how to have fun and think on their feet. Why she embraces the idea of the "lean startup"
Click here to subscribe to the Creative Entrepreneur on iTunes or subscribe on Stitcher.